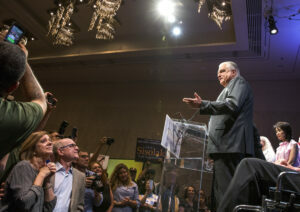 A vicious and money-draining Democratic primary for governor has ended with a comfortable win for Clark County Commissioner Steve Sisolak, who vowed to bring bold leadership if he wins the general and ends up taking term-limited Republican Gov. Brian Sandoval’s place. The contest was a sound defeat for fellow Commissioner Chris Giunchigliani, whose grassroots campaign was far less funded than Sisolak’s but got a late morale boost with an endorsement from Hillary Clinton. Sisolak, 64, promised to put the long and bitter primary aside and focus on defeating Republican Attorney General Adam Laxalt, 39, who blew his primary competitors out of the water to win the GOP nomination. A poll taken in late April of the theoretical matchup between the two gubernatorial nominees showed Sisolak beating Laxalt by six points. But Laxalt’s team signaled that it’s ready for a fight, taunting Sisolak for “limping” across the finish line, and foreshadowed its future attacks on the Democratic nominee by suggesting Sisolak has ethical skeletons in his closet. The general election is expected to be a race of national interest and will define the future course of a state that dug out of a deep recession and has started to reinvent itself under Sandoval’s leadership. With Democrats all but guaranteed to control the Legislature, Sisolak could be the conduit for more progressive policies and Laxalt could be a backstop against them if he inherits the governor’s veto pen. When the final vote totals came in late Tuesday night, Giunchigliani had lost the race by about 11 points, winning only 39 percent of the vote to Sisolak’s 50 percent. Though Giunchigliani won Washoe County by about 3,600 votes, it wasn’t enough to make up Sisolak’s roughly 19,000-vote lead in Clark County. In a somber election night party at the Bunkhouse Saloon in downtown Las Vegas, Giunchigliani echoed arguments she’s been making throughout the campaign that she’s the most progressive in the race. 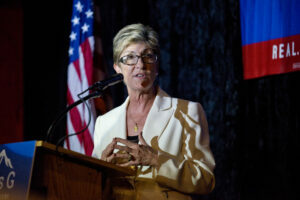 Throughout her campaign, she’d touted votes she cast opposing the stadium project and a proposed development near Red Rock National Conservation Area. Giunchigliani, who said she called Sisolak to concede, expressed dismay at how the race unfolded near the end but vowed to move forward. Voter Marianne Buonanno, who recently registered as a Democrat, echoed that sentiment. Sisolak has served on the commission for a decade; prior to that, he served on the Nevada Board of Regents that oversees higher education. As a commissioner, he was a member of the Southern Nevada Tourism Infrastructure Committee, which helped craft a controversial $750 million public financing deal for the Raiders’ new stadium in Las Vegas. Sisolak has fended off criticism about the hefty taxpayer-funded contribution, saying the project is employing thousands of residents and will generate even more economic activity when the football team moves here in 2020. Giunchigliani, a former-special education teacher and state lawmaker, was considered the underdog in the race from the beginning. The April poll found Sisolak leading Giunchigliani by 28 percentage points, but as the race intensified during the last month, she narrowed that gap. Money proved to be a deciding factor in the primary race, though. A fundraising titan, Sisolak also spared no expense in the primary, spending $6.3 million this year alone in his quest to beat Giunchigliani. He had roughly $5.9 million in the bank by the end of 2017 and added another $1.7 million so far this year. Giunchigliani’s grassroots-style campaign raised more than $974,000 this year — on top of the $841,000 she had stashed away by the end of 2017. 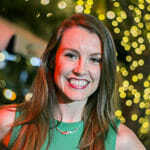 She also had significant support from the statewide teacher’s union and pro-choice women’s political advocacy organization EMILY’s List. The cash fueled a vigorous war of words on the airwaves. Giunchigliani was accused of raising her pay in the Legislature and paying her late husband large amounts of campaign cash. Sisolak, meanwhile, faced criticism related to his votes on a proposed Red Rock development and stadium projects. Sisolak describes himself as a moderate and touts his effectiveness getting things done, citing the stadium and Las Vegas Convention Center projects as examples. Like the other gubernatorial candidates, he promised to improve the state’s long-struggling K-12 education system and forgo his salary as governor until that’s accomplished, although he’s said he doesn’t think taxes need to be raised to fund teacher salary increases and suggests that bringing funding levels up to what some legislators consider adequate should be done piece by piece. He told his supporters he wouldn’t fail to topple Laxalt’s agenda. On the Republican side, Laxalt easily emerged the winner in that gubernatorial primary, trouncing Treasurer Dan Schwartz and bike shop owner Jared Fisher by a gaping margin. Laxalt received a boost Tuesday morning from President Donald Trump, who tweeted that he “strongly” endorses the first term attorney general. Laxalt won in every single county in Nevada, securing 71 percent of the vote statewide to Schwartz’s 9 percent. Attorney General Adam Laxalt addresses supporters after winning the Nevada gubernatorial primary election on Tuesday, June 12, 2018 at the Grove in Reno, Nev.
Schwartz, who bluntly accused Laxalt of cronyism, hiding from the public and lacking ideas throughout the primary, has already thrown his support behind Laxalt heading into November. The treasurer released a statement Tuesday evening congratulating his primary foe while simultaneously reflecting on the effect of his own campaign. “I like to think that we made a difference; and, that difference will be reflected in what our state government accomplishes in the years head,” the treasurer wrote. During his acceptance speech, Laxalt called his Democratic opponents career politicians and railed against how they’d turn the state into California. The crowd, which had gathered in Reno for his watch party, cheered in affirmation. 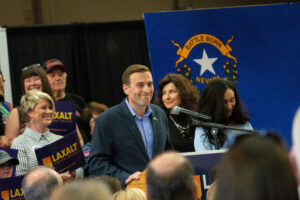 In addition to Trump, Laxalt has endorsements from the anti-abortion rights group Nevada Right to Life and the National Rifle Association, both hot commodities in a Republican primary. He’s raised millions and counts support from uber-wealthy casino magnate Sheldon Adelson, while his opponents largely had to self-fund. Laxalt is already a target of Democrats and allied groups including pro-abortion rights organization NARAL. They have lately tried to pin him to the woes of Storey County Sheriff Gerald Antinoro, who’s been accused of sexual misconduct and whose endorsement Laxalt still notes on his website. Laxalt has said that his office is investigating Antinoro and that renouncing the endorsement before it’s concluded would “pre-judge” the inquiry, although critics of Antinoro have raised doubts about whether the attorney general is actually conducting a probe. He’s also in the crossfire of the public employee union AFSCME (American Federation of State, County and Municipal Employees), which launched a TV ad criticizing Laxalt for his role in defending an insulin transparency bill passed by the Legislature in 2017. After scoring an upset in 2014 to become attorney general, Laxalt used his office to battle what he described as the Obama administration’s federal overreach, suing against a program that would have expanded legal status to parents of DREAMers and against Obama’s effort to make more administrative workers eligible for overtime. In contrast to Sandoval, who’s a pro-choice Republican but has rarely touched abortion issues as governor, Laxalt has also weighed in on social issues, supporting Texas’ restrictions on abortion and measures to protect those who decline services to members of the LGBT community based on their religious beliefs. He’s already promised not to raise taxes, and has expressed his desire to repeal Gov. Brian Sandoval’s Commerce Tax, although the logistics of getting a repeal on the ballot or reversing it through the Legislature make that a remote possibility. At the same time, he promised “more money” to schools in his acceptance speech and said education would be his No. 1 priority as governor — something that resonated with first-time voter Jacob Poser. In his acceptance speech, Laxalt turned his attention to the high-stakes contest ahead. State Senate Republican Leader Michael Roberson will advance to the general election in the race to replace Lt. Gov. Mark Hutchison after fending off primary challenges from a host of challengers including former Assemblyman Brent Jones. Roberson, who lost a congressional primary to Danny Tarkanian in 2016, received 46 percent of the votes on Tuesday, far more than Jones, Reno businessman Eugene Hoover and Scott LaFata brought in. 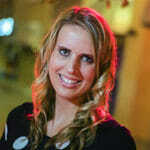 On the Democratic side, former state Treasurer Kate Marshall easily surpassed a primary challenge from Laurie Hansen. Marshall secured 62 percent of votes to Hansen’s 22 percent. Since the start of 2017, Marshall has reported raising more than $192,000, while spending nearly $122,000. Roberson, who has gone up with television ads ahead of the primary, has raised nearly $195,000 since the start of 2017 and has spent more than $266,000. Wes Duncan, a former Assemblyman and Laxalt’s former top deputy in the attorney general’s office, emerged victorious from a bitter primary challenge from challenger Craig Mueller, who filed a RICO suit against Duncan in June. Duncan took home 60 percent of votes Tuesday night, while Mueller received 31 percent. He’ll face off against Democratic state Senate Leader Aaron Ford on the general election ballot, who easily surpassed a primary challenge from Stuart MacKie. “From West Wendover to Reno to Las Vegas, I look forward to continuing to share my vision for putting Nevada families first by taking on scammers who rip off our seniors, polluters who poison our water, and criminals and drug dealers who prey on our communities,” Ford said in a statement. Secretary of State Barbara Cegavske easily survived a primary challenge from little-known Ernest Aldridge — defeating him by about 36 points — setting up an expected general election battle with Democratic Assemblyman Nelson Araujo, who didn’t face a primary and took a jab at his Republican foe in an election night statement. Araujo has raised more than $197,000 in his bid for the office, and has spent nearly $81,000. Cegavske has raised a little over $68,000 and has spent more than $45,000 since the start of 2017. Former Las Vegas City Councilman Bob Beers handily defeated financial planner Derek Uehara in this two-way Republican primary. Beers won 67 percent of Republican primary votes while Uehara took in 24 percent. The winner will go on to face Democrat Zach Conine, who co-founded a management consulting firm and previously was a gaming executive, in the general election. Conine did not face a primary opponent. Independent American party candidate Bill Hoge will also face off against Beers and Conine in November. Neither candidate running for controller faced a primary and therefore did not appear on Tuesday’s ballot. Controller Ron Knecht, a Republican, will face off against Catherine Byrne, a Democrat and a certified public accountant, in November. Updated 6-13-18 at 9:34 a.m. to include final vote totals from the Secretary of State’s website.